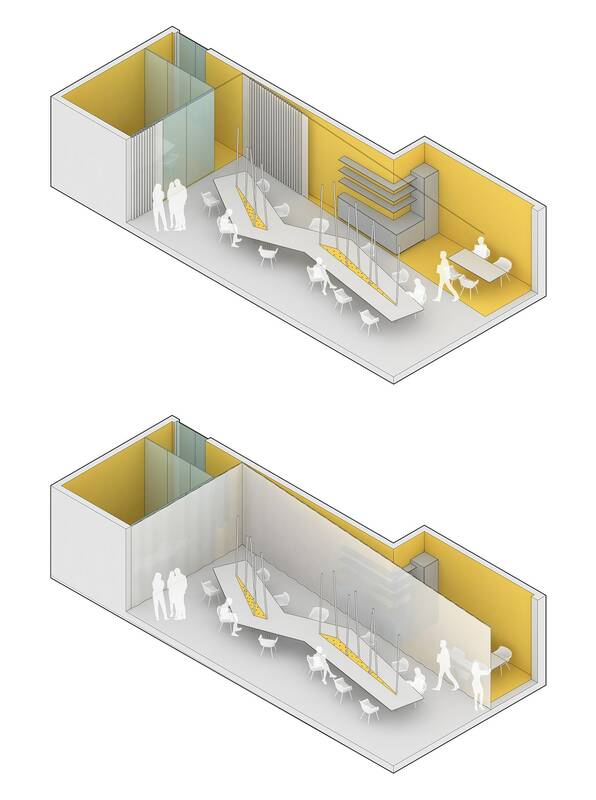 The brief asked for desk area for 12-14 people, a conference room, a library, a kitchenette and break out area, while keeping the space open and without visual clutter when needed in a 1000 sf space. 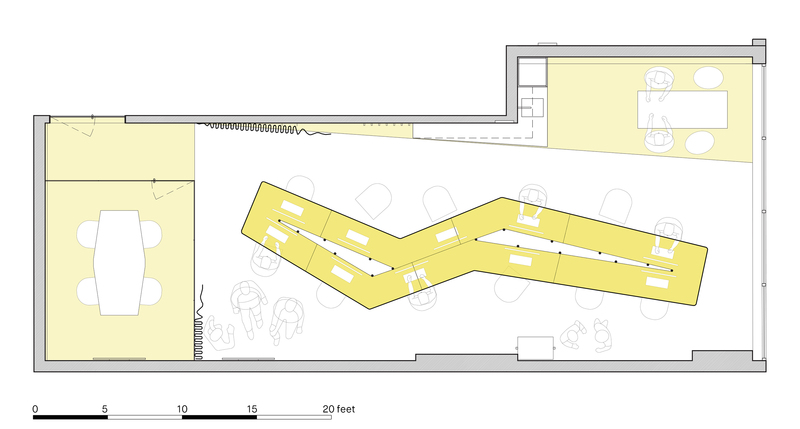 In order to fit the requirements of the client, central area of the space is dedicated for a continuous work desk while conference room, library, kitchenette and break out area was located on the two ends. The work table zigzags in the central space to fit desk area for 12 people. The geometry provides triangular pin-up areas adjacent to the white board for internal design critics. 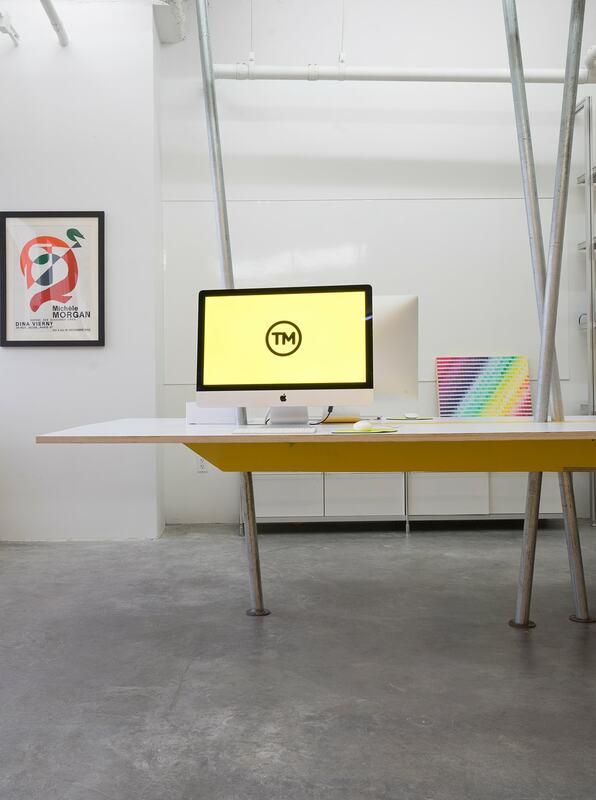 The custom 22' long desk floats on steel poles to provide a light structure as well as a means to bring necessary cables from ceiling into the desk.